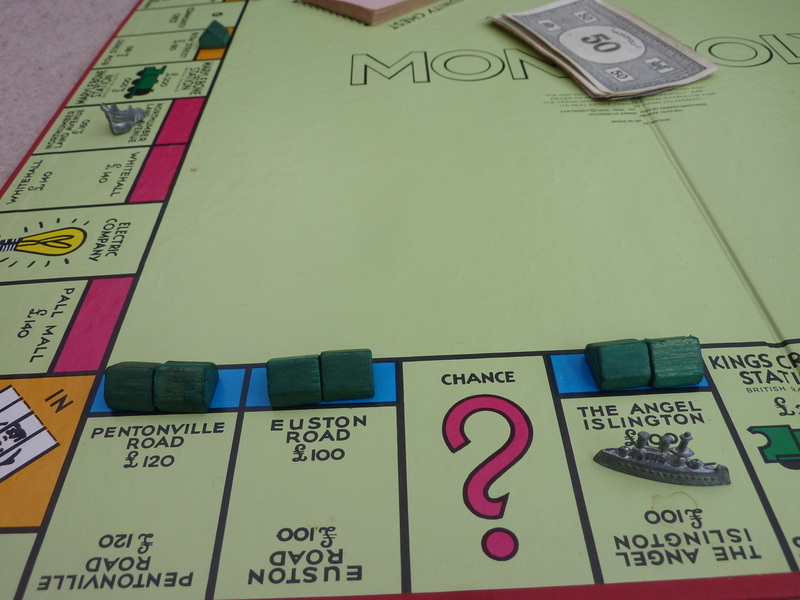 My monopoly set contains three different editions (apart from the board). The first edition it contains was originally my dad's. It's from the 1940's and was bought for 19/6d from Sutton High Street and it's the one he played when he was a boy. 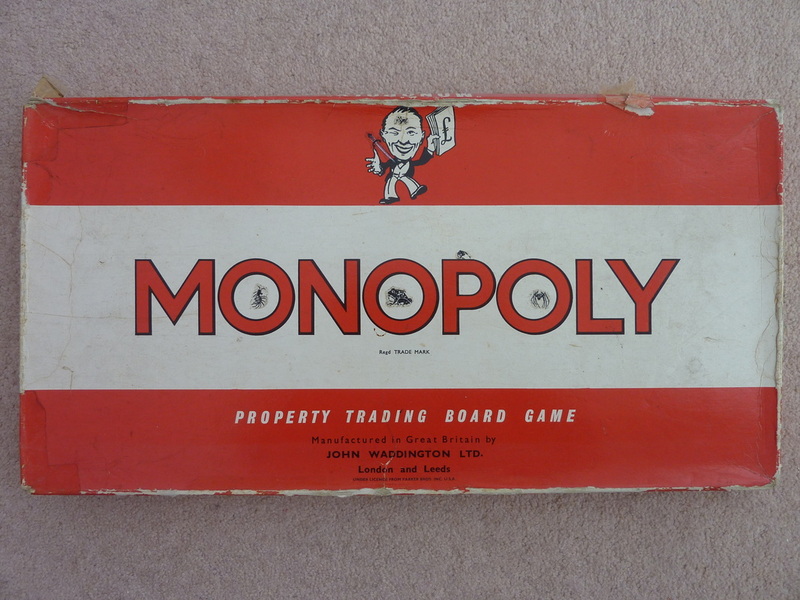 The second edition is the one I played (and we played as a family) when I was growing up. 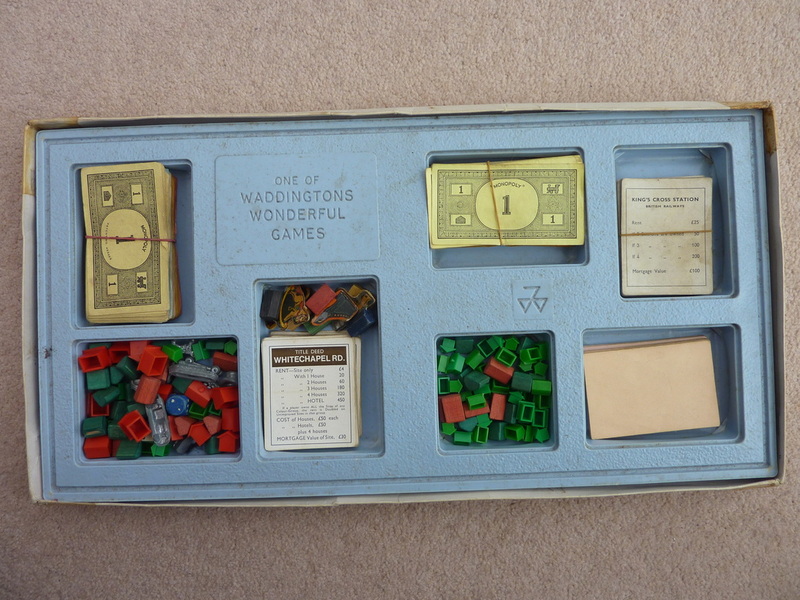 The third is really just a selection of some extra stuff that I wrote off to Waddingtons for in 1980's. Some new money, some new 'Chance' and 'Community Chest' cards etc. My dad's edition is so old that I never used it much for fear of it falling apart. The best set to own? - In my opinion the orange set! I find it amazing that the 'Free Parking' rule does not actually form part of the official rule-set! 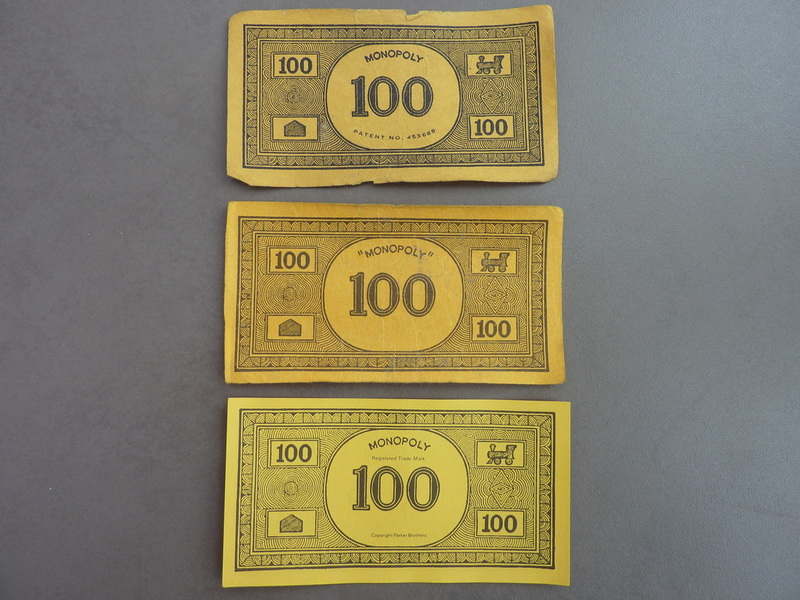 Below you can see a comparison of the differences between the bank note editions. (Click for full size). The differences are subtle (for example, the word 'Monopoly' is shown in quotes in my edition). Interestingly, the background design of the notes has never changed. 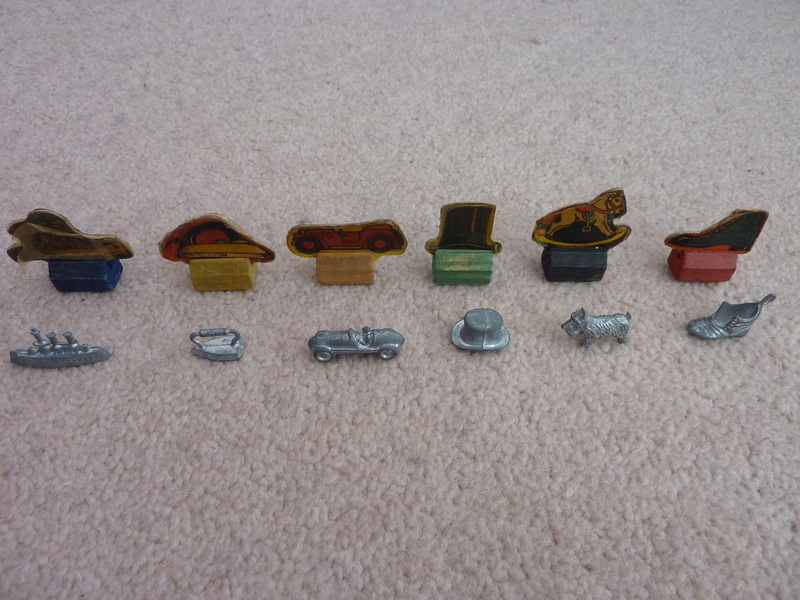 Monopoly playing pieces. Old & 'new'. 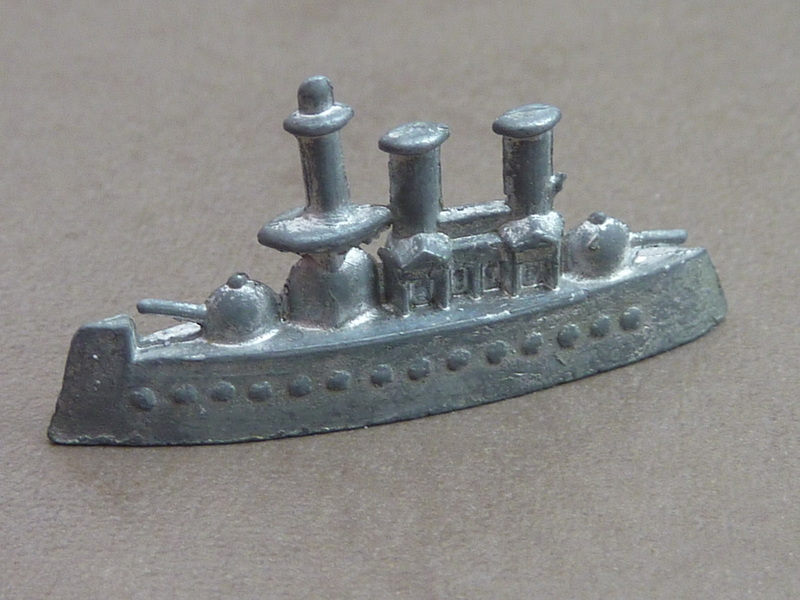 It must have been quite a leap to move from cardboard pieces to metal! The piece I always played when I was boy was this one: The battleship! It was very 'stable' when placed on the playing surface and it felt very strong and capable! I mean, what boy wants to push a top-hat around the board?! My favourite playing piece. The battleship! My sister always played the dog. The little terrier could perform a neat trick and do a lovely little headstand. I was forever putting him into this position and Sharon would be constantly putting back down onto his legs! I once conducted a frequency analysis of the game. Trying to discover which spaces were landed on the most often. I drew up all the properties onto a piece of paper and then ticked next to them, whenever they were landed on. I did this for loads of games. The results were quite interesting! I'm trying to find the chart I produced. When I do, I will post it up here. If I remember rightly, it was 'Bow Street' that was landed on most often. 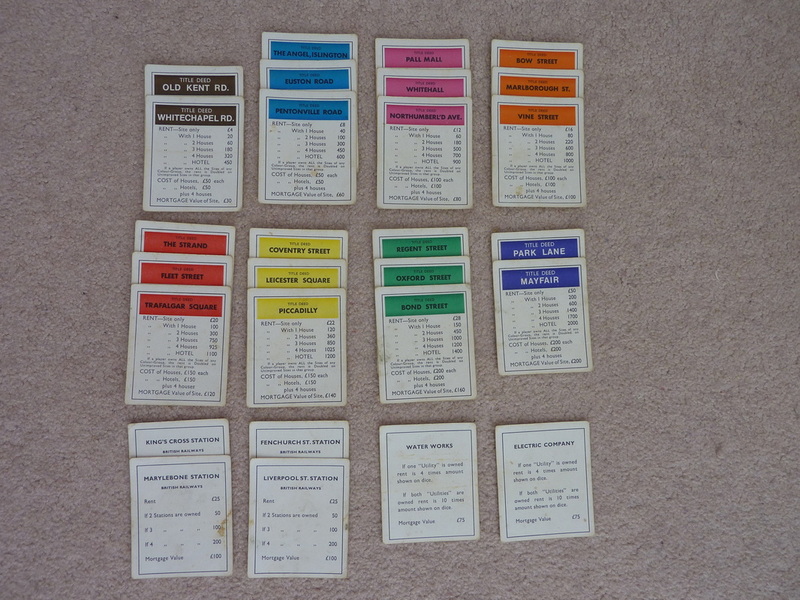 The image above shows all the property cards from my set. I always liked the printing and colours of these. I thought they looked very good. Always a lovely feeling having three of these neatly lined up in front of you! 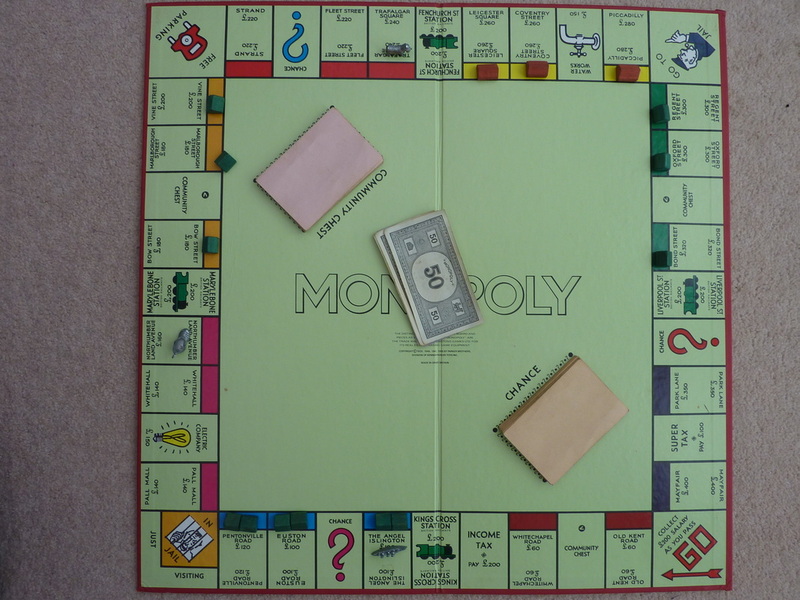 I wonder how many people knew of (and played to) the rule whereby if you have a 'set' but no houses built on any of them - that you collect DOUBLE rent?! 'In the old days', the first two property sets (Old Kent Road & Whitechapel and the pale blue set) were seen as a bit of a joke in my family and no-one ever really bought them. (We called Euston Road, 'Useless Road'). But when I started playing with other people, I noticed that they would be snapped up just as readily as any other set. And of course really the general rule is, 'buy everything you can'! Picture on the left shows a comparison of the old and 'new' houses. Though I think the 'new' houses in my set are at least 30 years old now. 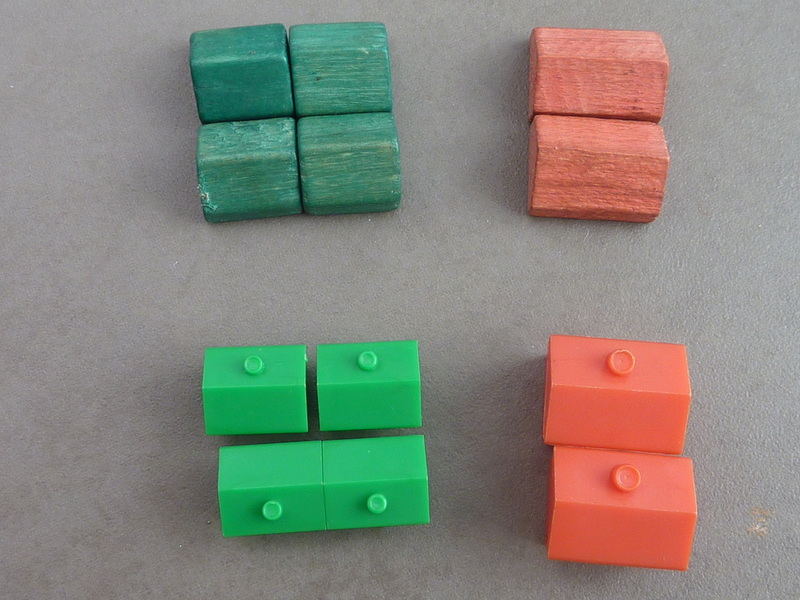 My dad's ones are all wooden, and these are the ones we always played with. I don't think I have ever played a game with plastic houses. I really don't like them. Picture on right: Probably the worst card you can pick up in Monopoly if you are doing well and have lots of houses/hotels. 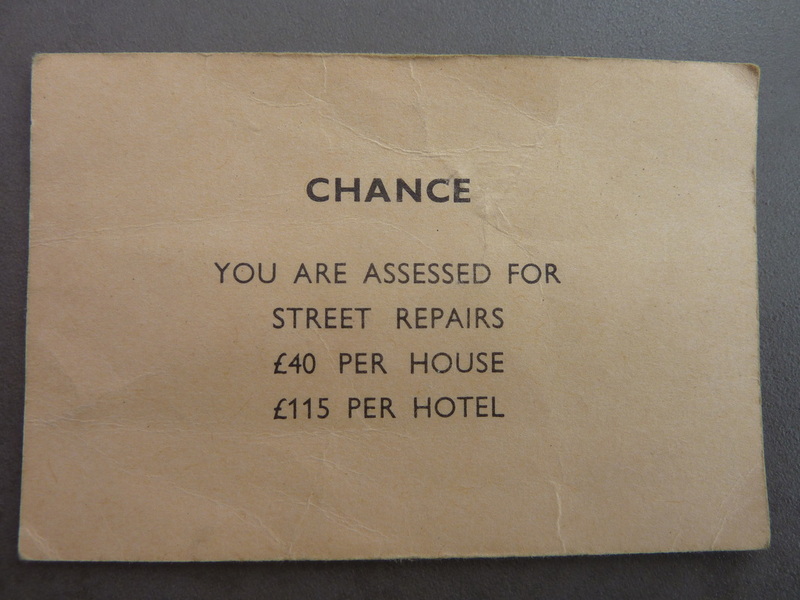 The most dangerous 'Chance' card! 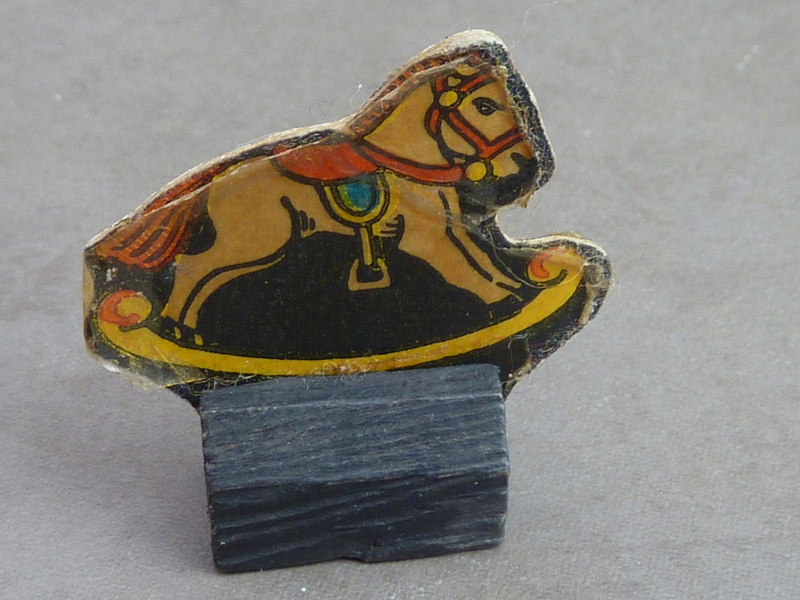 On the right is a close-up of the cardboard 'Rocking Horse' playing piece. 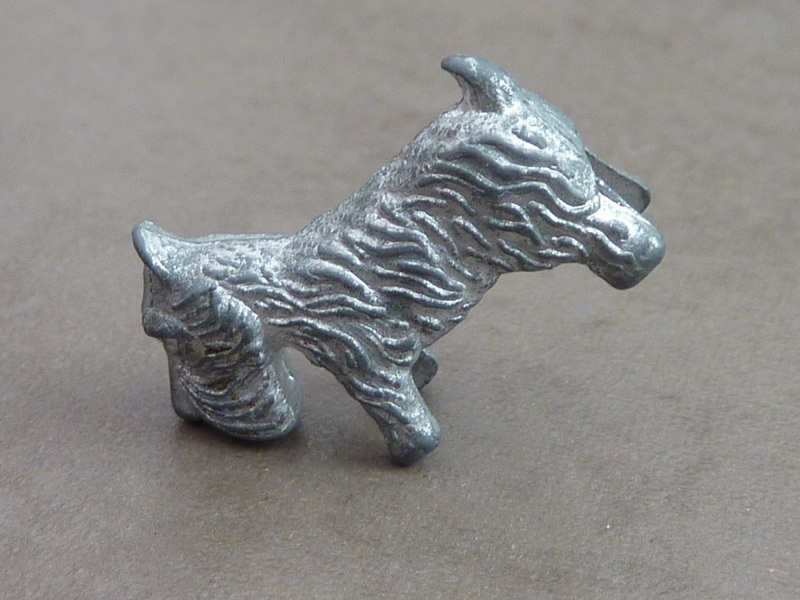 It seems that this piece was discontinued and replaced by the dog. In all, Monopoy is a great game and a staple of my childhood. There is a large amount of luck involved though and sometimes it got very frustrating and seemed unfair.